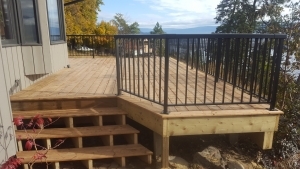 Vinyl Decking provides a perfect choice for residential and commercial deck construction. The flooring material provides a waterproof membrane that is perfect for patios, balconies, rooftop decks, walkways and traditional decks. Vinyl decking comes in a wide variety of colours and patterns. New designs include wood plank patterns, granite, slate and marble patterns, as well as concrete and textured colour choices. With so many choices you will find a pattern that matches your colour scheme and decking requirements. Vinyl deck materials also come in a variety of surface options and include slip resistant surfaces and various levels of durability. Many newer styles have a scuff resistant top layer that can also feature subtle patterns to enhance the stone or wood grain designs. 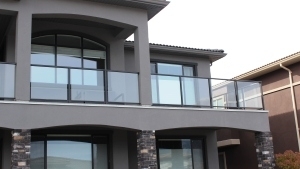 Your colour choices can be important when considering a deck in full sunlight. Lighter colours can be much cooler underfoot which can be a big plus when laying vinyl decking around pools or south facing sunny patios. Several vinyl decking products have the same waterproof rating as roofing membrane. 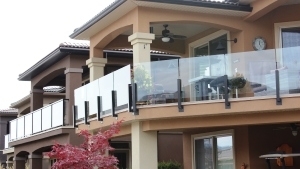 This is a big advantage for rooftop patios that are becoming increasingly common with new home construction. Vinyl decking is also a good alternative to wood decking for the simple reason it is very low maintenance and 100% recyclable. When you consider the lifespan of vinyl decking and the ongoing staining or painting of traditional wood decks, the lifecycle cost to the environment for vinyl may actually beat out the wood alternative. This idea of total cost to the environment is gaining ground in the building industry and choices for long-term products with low environmental impact are good decisions for your residential and commercial building project. 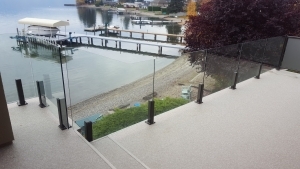 If you are building a new deck, replacing an old deck, adding a rooftop patio or looking for a commercial grade product for an exterior walkway or landing consider building with waterproof vinyl decking. The terrific colour and pattern choices available now in vinyl decking will ensure you find a choice that is right for your needs. The different grades and thicknesses also provide you with economical choices or heavy duty choices for commercial applications. 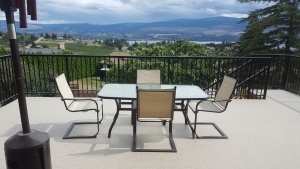 Vinyl decking is quick to install, virtually maintenance free and a highly durable and waterproof membrane that is ideally suited for BC weather conditions. 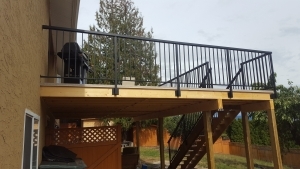 Deck Doctor is the leader in commercial and residential custom railings and decks. Call us for your next build.